Instacart, a San Francisco based grocery delivery platform, has scarcely launched its service in Helena, which allows the residents to easily shop for groceries from the comfort of their home. The company will be delivering products in Helena locally sourced from Costco, Albertsons, Safeway, CVS Pharmacy, Petco and Natural Grocers. Reportedly, this month Instacart will be launching its service in other parts of Montana as well. According to an official statement, customers have to log on to the company website, instacart.com or their mobile app where they can select the city, store and order items while choosing a time range for when they want the delivery. Instacart intends to hire close to 100 local employees who will accept the orders, follow the shopping list and instructions given by a customer, and then deliver the order to their home within the selected time range. The employees will be expected to pick the best produce, keep in mind the expiration dates, and handle delicate items with care. In case an item runs out of stock, the employees can apparently contact a customer to decide on a replacement. Instacart confirms that it wants to keep the online prices for groceries same as the store prices. If a situation arises where the online price is higher than in the store for any particular item, Instacart’s website has a section that compares both the prices to make the customer aware of any difference. 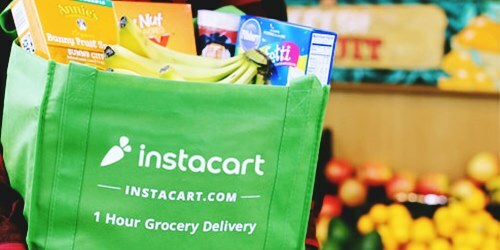 Instacart will advertise promotions aimed at giving customers incentives on the purchase of certain brands in exchange for free delivery. Citing an instance, the official statement claims that if a customer purchases $12 in Perrier products, the delivery will be made available at no cost. Instacart will also offer a membership opportunity at $149 to avail features like free and unlimited same day delivery on orders of $35 and above, the website confirms.